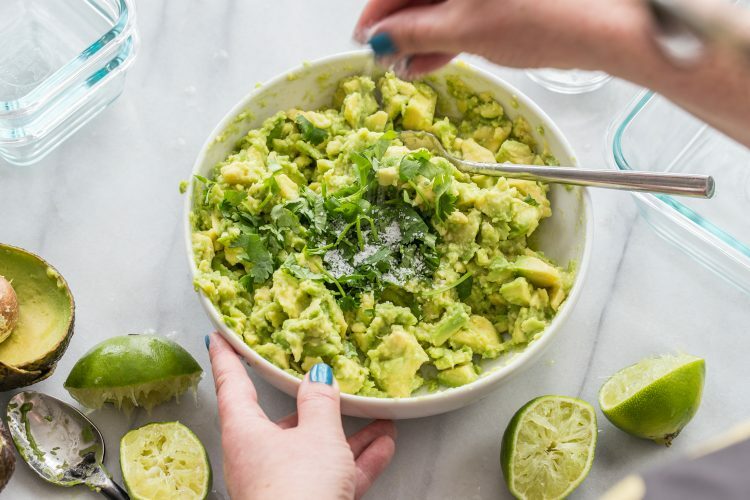 Quick Guacamole is my go-t0 5 minute lunch during the summer. 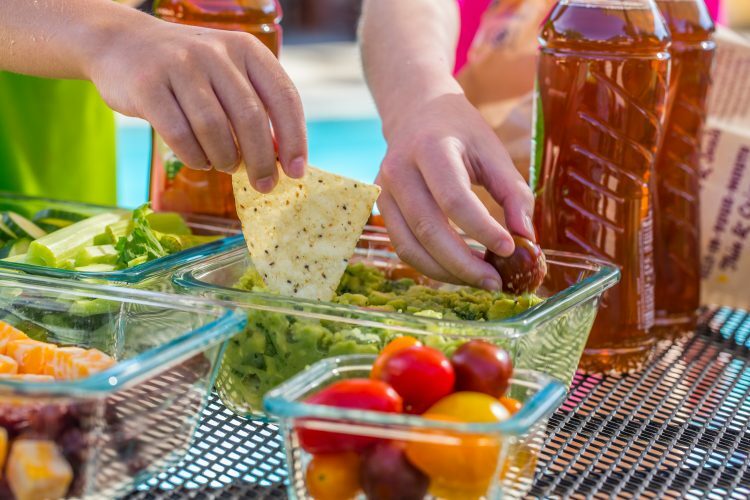 Pair it with veggies, tortilla chips, and some smoked sausages for a speedy poolside lunch. This post is sponsored on behalf of NESTEA. All opinions are, as always, my own. I have a confession. Something that I never in a million years thought I’d every say: I’m becoming a summer convert. I know, I know! This coming from the girl who typically shuns the hot weather and most importantly, the humidity. Trust me, Fall will always be my true love, but Summer is beginning to sneak it’s way into my heart, grab my face between it’s hands, and force me to notice it’s glorious beauty. Oh, I’m noticing summer. Don’t you worry. I’m noticing that your slow pace is simply scrumptious. I’m noticing that having my kiddos home and hearing their voices during the day is fabulous. I’m noticing that having a carefree laid back attitude to just about everything is what Summer is truly about. Plus, there is air conditioning and trips to the pool to counteract Summer’s crazy heat. Funny story about the pool thing. Growing up, my dad was staunchly against getting a pool, not that we really begged for one or anything, but it was something we always knew his (very firm) stance on. Well, about 8 years ago (I remember because I was pregnant with C at the time), my parents announced they were putting in a pool! My siblings and I were completely shocked. This did not add up based on our dad’s stance on pools over the last 30 years, but we weren’t going to question it. Taking the kids over to their grandparent’s house just got even more fun. Trips to the pool were fun, but not necessarily laid back. But (and this is a big but), recent years have changed this. My kids are now 7 and 9 and the amount of independence they have is incredible. They can take care of packing their own swim gear, putting on their own sunscreen (for the most part), taking care of their own bathroom needs, plus, they know how to swim! These changes have made a WORLD of difference when it comes to going to the pool. Now, when they are grabbing their suits and towels, I can throw together a quick snacky lunch before we all pile in the car to go to grandma and grandpa’s pool. That is the kind of summer activity I’m into. Minimal effort and maximum enjoyment. My kids ADORE being at the pool. Seriously, they are like fish in the summer. They have only been out of school for a couple of weeks and we have already been averaging 3 trips a week to the pool. Because I know we’ll be there for a while, food is always a must and I have come up with a few quick and easy poolside lunch tips. Finger foods are a must. When we head to the pool I like to gather foods that can be eaten without the need for flatware or even plates, if I’m being honest. The kids are in and out of the pool for hours and it makes life so much easier if they can just grab a bite before heading back to the fun. Family style lunches are the way to go. 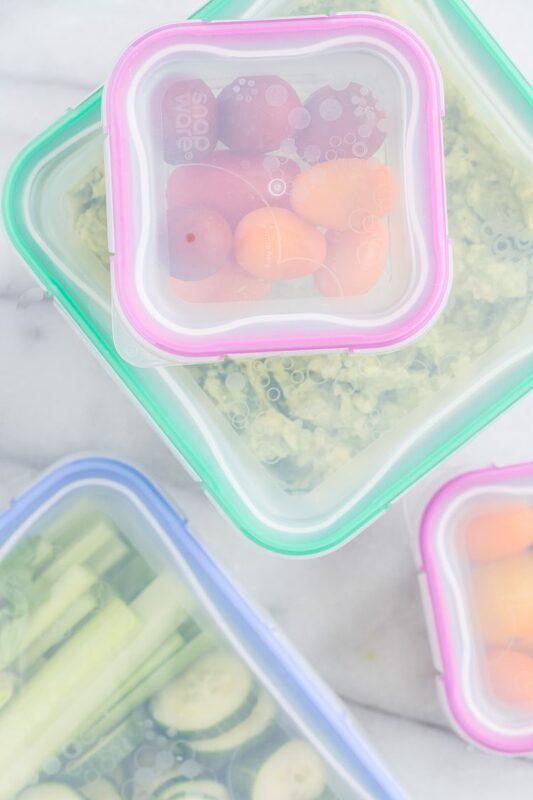 Instead of packing everyone their own little lunch, pack larger containers that can go from fridge to bag that everyone can share. I like these glass containers that have snapping lids. That way there is enough for everyone and it saves effort on your part. Pack a hearty quick dip. 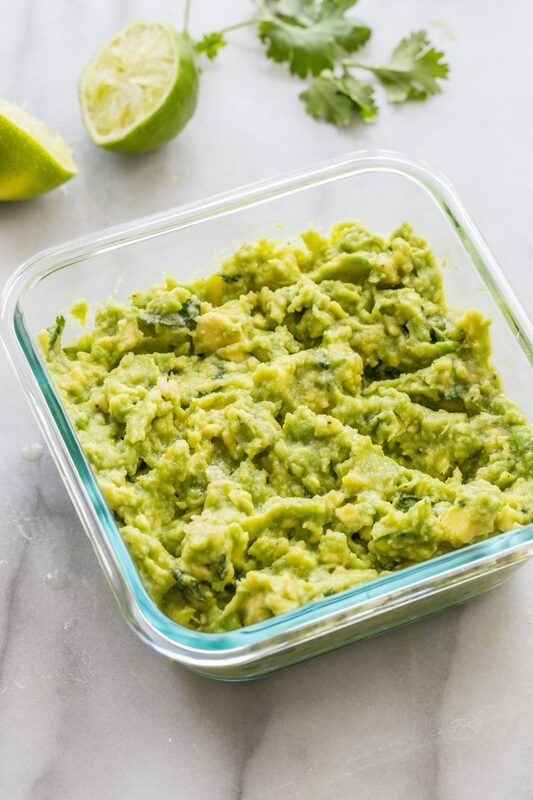 My go-to dips to make are hummus or quick guacamole. When I’m packing for the pool, I like to keep things super simple. 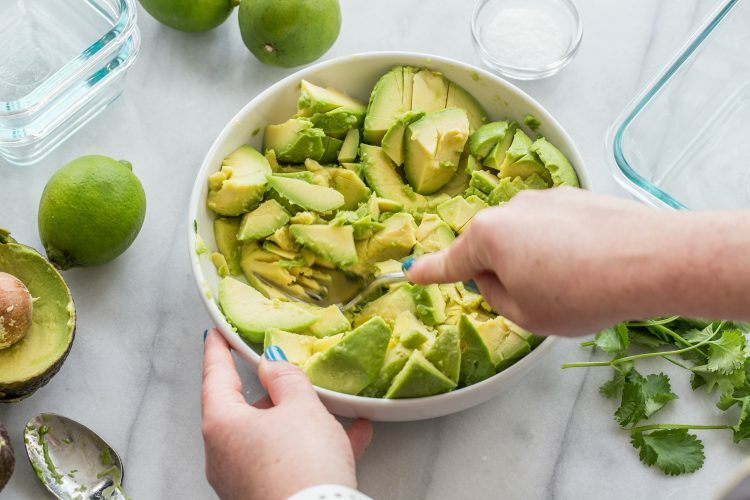 I make a 5 minute, quick guacamole that uses avocados, lime juice, salt & pepper, garlic, and cilantro. It’s crazy fast and easy and the kids love it. I serve it with fresh veggies and a bag of tortilla chips. Boom, done! Pack a little protein. 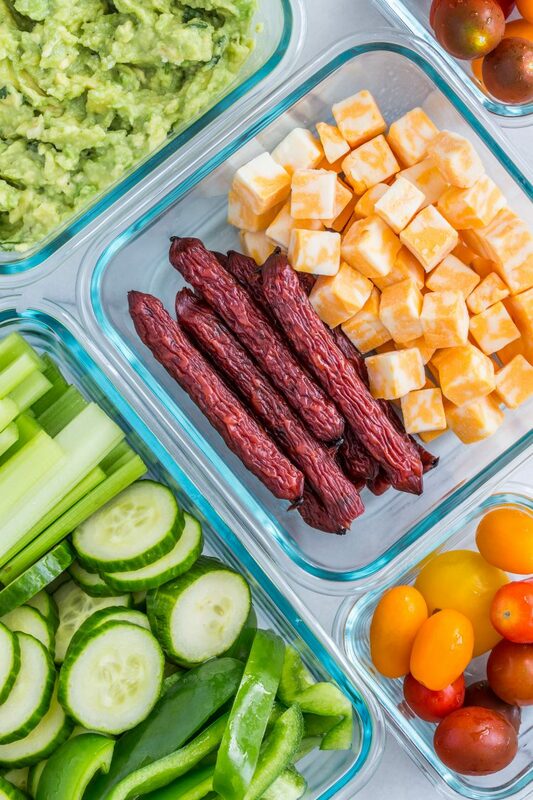 I like to pack some cheese cubes and some little smoked sausages for a protein option that rounds out our fabulously easy poolside snacky lunch. Don’t forget the drinks! Swimming works up a huge thirst. 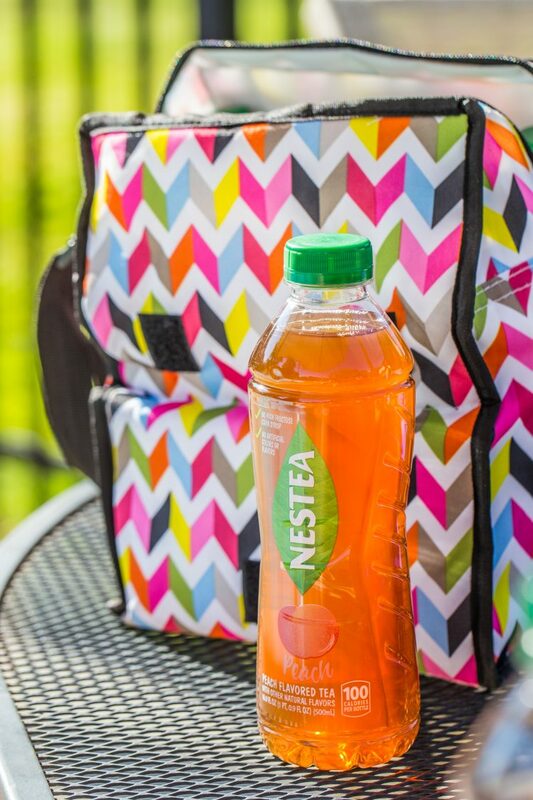 I’ve been all about the new NESTEA Peach Iced Tea this summer. It’s slightly sweet, with a lovely peach flavor all in the deliciousness of NESTEA. My kids love the peach tea, too, which makes thing even easier. I throw a few of bottles of iced tea into my thermal bag and away we go. 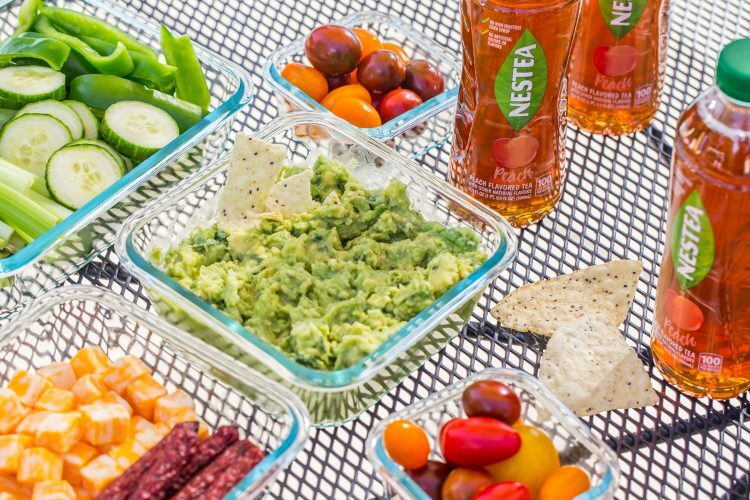 When we get to the pool, the kids can hop right in, I set out a few containers of snacky lunch food, pull out the drinks and we settle in for a lazy day at the pool. It’s all pretty fabulous. In fact, I am officially declaring this the summer of relaxation and ease. Because ultimately, we need this time in the sun and warmth to enjoy each other’s company and just…be. For more #SimpleSolutions to make this your best summer yet, visit NESTEA. 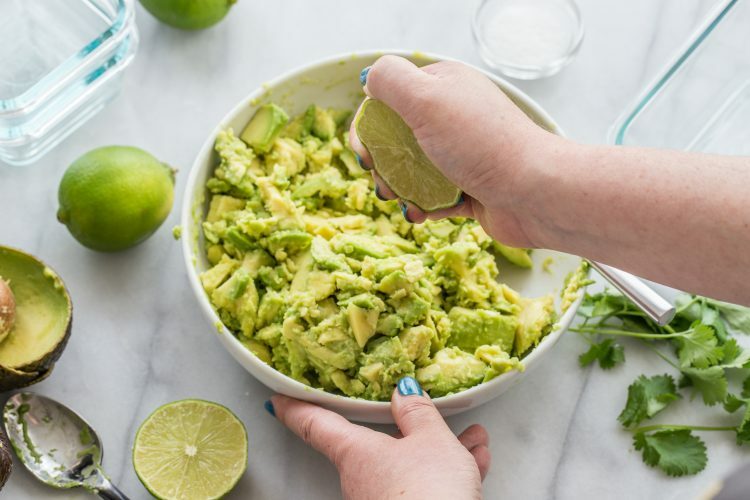 OH, and don’t forget to make a batch of my quick guacamole for your next poolside lunch! 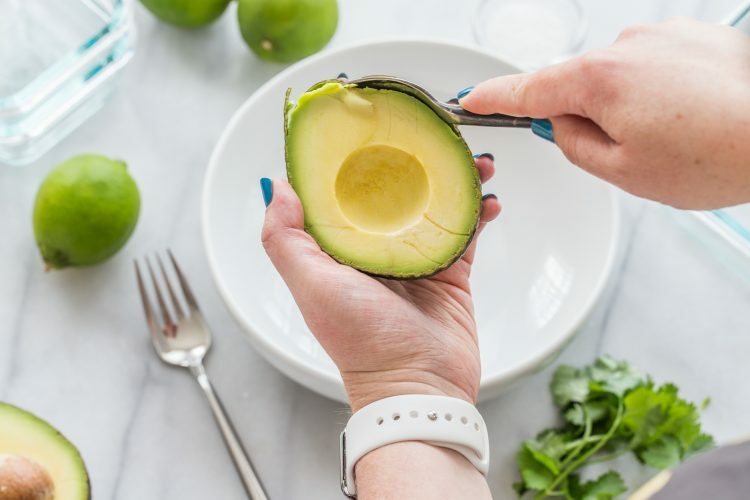 Mash avocados in a bowl with a fork or knife. Add lime juice, cilantro, garlic, and salt & pepper. Mix to combine. Adjust seasonings to taste. Serve with chips and veggies. Enjoy!